Starting a new pharmaceutical business requires diligent research and planning to ensure a successful business that has scope for growth. Starting a PCD pharma franchise for a leading pharma company is an opportunity that promises great Return on Investment and a chance to expand beyond domestic territory. The icing on the cake is if you get franchise rights from monopoly pharma companies in the area you wish to operate in. The trend is not new but has generated more attention in recent years partly due to India’s predominant role as a global medicine manufacturer & supplier and partly due to the fact that this business needs very little investment but holds potential for great returns. To some extent, the onus for pharma sector growth also lies with the government’s liberal policies for the pharmaceutical sector that encourages the supply of quality yet affordable medicines to people of all sections around the country. 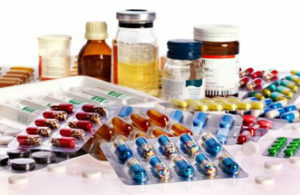 Many small and large pharmaceutical companies offer monopoly rights for medicine propaganda and distribution in a distributor’s allotted area. Such monopoly pharma companies are plenty but finding the right one is a sure way towards unparalleled profit and growth. To get PCD distribution rights on a monopoly basis requires a distributor to apply to a pharma company for marketing and distribution rights in its area of operation. By signing an agreement, the distributor reserves monopoly rights for pharma PCD of all or few products associated with the pharma franchise company in that area. This implies that the pharma franchise company cannot hire any other distributor for those products in the same area relying entirely on one franchise (distributor) for business sales. If you feel the need for more information, do not hesitate to drop a word. 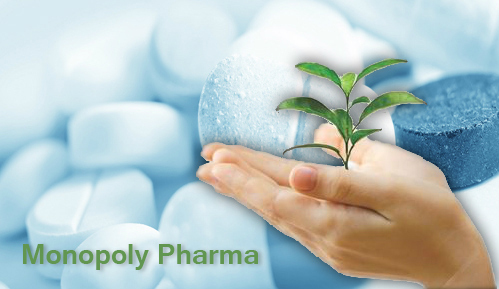 Know more about monopoly pharma companies in India at +91 9888885364. Need Franchise Pharma Company:-Top pcd / franchise companies in Pharmaceutical / ayurvedic / herbal, newly launched, Multinational (mnc) companies pharma pcd / franchise companies, marketing / trading ayurvedic / pharma companies, manufacturing companies are present in list. You can find best possible partner for you. For convince of our reader we have prepared list companies those provide facility and opportunities to professionals to start pcd / franchise marketing. You can find more 500 pcd /franchise companies in this list. Pharmaceutical Franchise and Pcd is a type of sales and marketing in pharmaceutical Industry. This is something like business partnership with two parties; one having products and second having sale and marketing experience. Both do business at mutual agreed term and conditions. Medical representatives, Area sales Managers, Regional sales managers and other sales and marketing persons are eligible to start own franchise and pcd marketing. Pharmaceutical distributors, chemists, Doctors and other pharmaceutical professionals may also start own pcd / franchise marketing. Ayurvedic Franchise and Pcd marketing is also of same kind. Pharma Franchise Help team members have more than 2-3 years experience in pharmaceutical marketing and administration. We have helped in providing best franchises / Best PCD Pharma partner to hundreds of Pharma professionals. We also provide all help to franchisee related to marketing, sale, distribution, calculation etc. For being a pharma franchisee / pcd partner, one should have sales and marketing knowledge. Franchise / pcd provides unique opportunity to start own business with own marketing at negligible investment. Pharma companies provide marketing inputs i.e. visual aids, sample catch covers, literature, product cards, bag, gift articles, incentives, tours etc for doing work at ethical basis. It is less investment business and best career opportunity for all sales and marketing professionals. India’s pharmaceutical market is emerging at high speed. Daily number of new pharmaceutical companies launches their products. Every person couldn’t afford to start own company because it is highly investing business that’s way Pharma PCD Franchise Concept is getting popularity day by day. Above list of Pharma companies that are doing business in India at franchise basis and provide best opportunities to pharmaceutical sales and marketing professionals, medical representatives and distributors or group to start their own marketing business. It helps to increase competition in pharmaceutical market that is beneficial for customers. Need Franchise Pharma Company, Pharmaceutical PCD franchise also removes the monopoly of MNC’s and big Pharma companies and makes room for small/macro companies to grow in pharmaceutical market. Our purpose is to provide you if you Need Franchise Pharma Company free of cost information about pharma franchise / pcd, companies, how to work, how to calculate your profit and margin etc. Name and address of companies are not taken from their advertisement & their websites. For more information you can directly contact at given detail and contact number.